December | 2013 | LIT.GAZ. I’ve now finished re-reading this amazing Russian novel – completed at the end of the 1930s but completely impossible for any of it to have been published at the time, and it only saw the light of day after the author’s death and after the Khrushchev thaw. It was better than I’d remembered it, although it’s twenty years since I last read it, so it may well be my memory that’s at fault… there’s plenty to think about and try and make sense of. Three plots are interwoven: the devil and his entourage arrive in contemporary Moscow and cause various kinds of mayhem, exposing various sorts of people in different ways; a rewriting of the encounter between Jesus and Pontius Pilate at his pre-crucifixion trial in Jerusalem, which is part of a novel written by the ‘master’ of the title (you can imagine how that might have gone down with Stalin’s censor), and what must be called a love story between the master and Margarita which is eventually brought to a supernatural, happy conclusion. Interspersed are scenes in an asylum which recall the ending of the film The Cabinet of Doctor Caligari. I found myself attentive to the political implications of the novel, thinking about what Bulgakov might be saying about the Soviet Union of his own time: there is no getting the better of the devil (who he?) who betrays everyone and ruins any and everyone at the slightest whim; the tangled web which can and does enmesh everyone; people disappearing suddenly never to be seen again; human folly and greed trying to take advantage of chaotic situations…and how stories (and/or the truth) can be twisted and distorted in so many ways. It’s not a heavy read; on the contrary, it’s lively and quite fast-paced, with magical plot and events whirling you along rapidly as the author skilfully manipulates your response: you like the devil and his associates, especially Behemoth the cat, you sympathise with Pontius Pilate, you see a different Jesus, one who also makes you reflect on his message. A powerful and very enjoyable read, it moves up quite a few places on my list of all-time favourites. I’ve posted a couple of lists as new pages on the blog: suggestions for reading linked to the First World War, with the up-coming anniversary in mind, and also some ‘my best’ lists if anyone is interested in my all-time greats. You may have noted from earlier posts that I belong to a Russian literature reading group. So far, I’ve had a very scattergun approach to what I’ve read, but I’ve now been motivated to try and develop my knowledge and understanding a bit more systematically, and to do some background reading on the subject. Our group leader recommended Catriona Kelly‘s book, in the ‘Brief Insight’ series, among some others. I had never really realised how relatively recently literature as we know it had developed in Russia – from about the eighteenth century onwards – or how much Pushkin, who wrote in the early nineteenth, is their equivalent of our Shakespeare, in terms of veneration, at least. It had occurred to me that there was very little writing by women, at least that I’d come across in my personal reading. Then I thought about the fact that American literature is also very ‘new’ compared to ours, where we can go back to the fourteenth century in terms of what is recognisable to the lay reader as English, and much earlier in the realms of Anglo-Saxon literature. It had certainly become clear to me over the years that Russians wrote and thought quite differently from the English; this is surely explained, among other things, by the vastness of the land, the extremes of the climate and the fact that they have no democratic experience compared with many Western nations. And that’s without the mental gymnastics intellectuals had to engage in during the Soviet era. Russians’ experiences and society seemed to me to be much more communal/ collective compared with our greater development of individualism. Their writers were inclined to explore and wrestle with big ideas, and spiritual (for want of a better word) themes. This contrast is particularly clear if you look at the kind of things Russian and English authors were writing in the nineteenth century. I haven’t come across the English equivalent of War & Peace or Crime & Punishment, for instance, or the Russian equivalent of Persuasion or Villette. However, I am glad to be re-discovering Russian classics that I’d read years ago and almost forgotten, and some that I haven’t met before. Turns out I read the books (this one and the previous post) in the wrong chronological order, but it didn’t really matter. This one was as good, if not better. She certainly lives adventurously: getting on in years, not speaking a word of Russian, travelling on her own by public transport… and she meets lots of ordinary Russians in all sorts of situations and experiences much hospitality and friendship. Murphy is a true traveller: she is exploring and writing about places and times that have not yet been documented, even though there are no actual blank spaces on the maps of the regions she visited; she engages her readers and leaves them with plenty to think about – what more do you want? My mother and I both enjoy travel writing, and often swap books we’ve read. 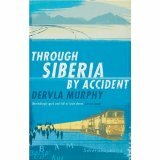 She has been urging me for a long time to read some Dervla Murphy, and, seduced by the prospect of reading some more about Siberia (of which I never tire), I finally gave in. Murphy is another solo female traveller, in the vein of Ella Maillart, of whom I’ve written before. Murphy is now rather older, and also a more recent traveller, so there is rather less unexplored territory to visit, but she does make real efforts to leave the beaten track, sometimes to her cost. She is genuinely interested in the places she visits and the people she encounters, and inclues plenty of background information to help the reader orient her/himself. She’s also very political, which is rather unusual in travel writers, at least those I’ve read. Nothing escapes her sharp, questioning mind, and she will digress for several pages on the political and social implications of something she has come across. Only very occasionally is this tiresome; usually it further enlightens her travels and writing. She travels on slow trains – not the tourists’ Transsiberian railway, but the later BAM (Baikal-Amur Magistral, if you wanted to know), sections of which run parallel to, but further north than, the more well-known and older Transsib. She appreciates the beauty of much of Siberia, especially Lake Baikal, but she is also saddened by the waste and environmental degradation which has gone on for decades, under the Soviets to whom economic and industrial progress (?) was the most important thing, and even more so in the present, capitalist (?) times, where profit, and the fast buck are everything. She can see the superficial attractiveness of the new, Western freedoms(?) to Russians whose lives were limited for so many years under state socialism, and she can see beyond this to the catastrophic effect this is having on the country and its peoples; it’s clearly a stage the country has to go through before its people may perhaps see that there are other things that are more important… the more one looks, the more one is conscious of the difference between freedom from and freedom to, and how we are all manipulated by capitalist and Western hegemony. I wouldn’t want anyone to feel that she writes political polemic: she doesn’t, but she’s aware of the complexity of everything; she loves the places and the people and describes them sympathetically, and enables us to have a window onto places we can probably never visit, and lives that are very different from ours. A real traveller, then, and no tourist. 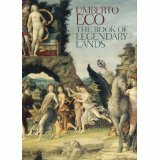 I don’t really have heroes, but if I did, I think Umberto Eco would probably be one of them; he’s the kind of person I admire, knowledgeable, catholic in his interests, writing and exploring intelligently and communicating clearly in a wide range of genres – a polymath, I suppose. Ever since I came across The Name of the Rose many years ago, I’ve read and enjoyed, and learnt from, many of his books. I’ve re-read The Search for the Perfect Language; not an easy read, but a fascinating one, and it has helped clear up for me what I think is Eco’s particular genius as it appeals to me. Everything I’ve read of his seems to show his fascination with how the human mind has changed over time, in the way it thinks and looks at and attempts to make sense of the world. So, for example, his novels in a mediaeval setting, such as The Name of the Rose and Baudolino, as well as being entertaining stories, recognise and demonstrate that the people of that time saw the world through very different spectacles from those of our time, and that helps illuminate why we are the way we are now. His works on art, such as On Beauty and On Ugliness show how those concepts have changed and developed over time: what the Romans found beautiful, for instance, is not the same as what a twenty-first century observer might judge beautiful. And in the book I’ve been reading, he looks at language over time: how the understanding of the workings of language, and the science of etymology, has developed through the ages. Eco demonstrates how people went around in circles chasing something that was not practical or achievable, and then stopped as they gradually realised that language was constantly evolving and changing in everyday use, which implied that perfection could not be attained… I think. As I said, it was complicated. But I enjoyed it, and it got me thinking. And… why is the alphabet in the order that it actually is? A curious hotch-potch, this book. I was half-way through it before we got anywhere near Shakespeare, and that was very briefly; basically it’s a popular history book that explores quite deeply and thoroughly the complex, symbiotic relationship between London north of the Thames and Southwark and Bankside, south of it, the place where anything went, as it were, thus including theatres, which were often disapproved of, and thereby providing the tenuous link to the book’s title. From Roman times, Southwark, Bankside and the Borough were the gateway to London from the south and the continent, for travellers and trade, and thus of great importance throughout history. All this is linked with the great importance of inns, alehouses and other hostelries to trade and the economy of the city and therefore the country, and so the central focus and title of the book focuses on a single, still-extant inn, the George in Southwark, whose history goes back centuries, and is merely one of what used to be dozens in the area, close to the site of the Globe Theatre and therefore, conceivably, a place where our greatest dramatist may have supped. The writer loves his subject, has researched thoroughly and writes entertainingly, bringing the subject to life: I learnt lots which fitted into the much vaguer notions I had of the places and times. It got a tad dull as it moved towards the present day and got embroiled in the world of Dickens, which I do not have a lot of time for, I’m afraid. My copy tells me it’s a little over twenty years since I last read this; I’ve been re-reading it ready for my Russian literature group meeting. It’s as brilliant a novel as it was before, possibly the best nineteenth century one for me, just a little bit ahead of War & Peace, or Anna Kerenina. The translation, by the Pevear and Volokhonsky duo, is excellent, helping the pace of the story along effortlessly most of the time, apart from a couple of infelicities when American slang and colloquialisms jar a little… The more I read of literature in other languages, the more I find myself thinking about the difficulties of translation, and the importance a good translation has in making or breaking one’s enjoyment of a text. There’s a certain amount of controversy about Pevear and Volokhonsky’s work and methods, but I feel that they have brought greater accessibility to Russian classics for non-Russian readers, replacing some of the rather clunky and dated translations that are getting on for a century old. So, what’s so wonderful about the novel? Dostoevsky‘s portrayal of the dark and seamy side of Petersburg life, and the dire poverty, is really effective and convincing: he knows the places and takes the reader there. His characters are fully created and developed: Raskolnikov obviously, but his friend Razumikhin shines through, and the sinister and mysterious Svidrigailov too. They seem psychologically plausible and convincing. 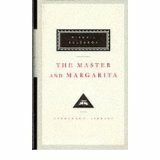 The central idea behind Raskolnikov’s crime, which Dostoevsky is exploring throughout, is fascinating: the idea that there is a certain type of person, a Napoleon type, who can transcend normal laws and restraints and commit any kind of act or crime, who is permitted to do so by the force of their personality, who maybe even has to do so because of who they are. Raskolnikov dares to imagine that he is one such, and the entire novel is his discovery that he is not, and attempting to come to terms with the belated consequences of that discovery. When I reflect on the time Dostoevsky was writing – mid 1860s – a time when psychology was in its infancy as a science, when Freud’s precursors were making their discoveries and writing up their research, what he succeeds in doing with his characters and their interactions seems nothing short of astonishing: he seems years ahead of other writers who eventually came to explore the inner and darker recesses of the human mind.